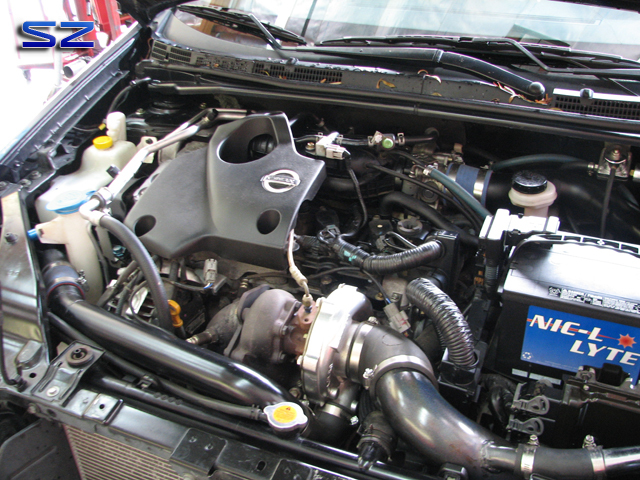 The following is a reminder that all Nissan’s deserve the glory of boost! Marc brought us his Sentra after sitting for almost 2 years. 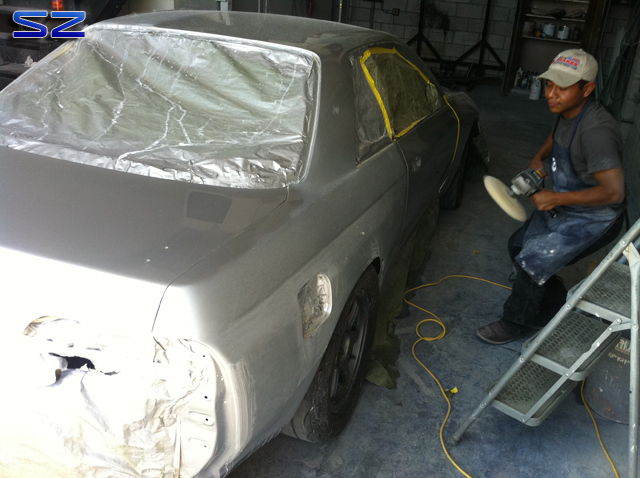 We gave it the much needed love and attention it needed to be road worthy. We tuned it for 91 octane on its factory engine. 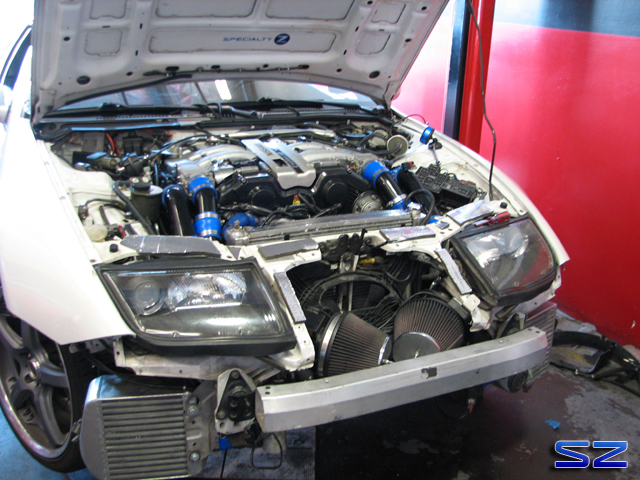 A very safe tune so that this QR25 will live a long and happy boosted life! 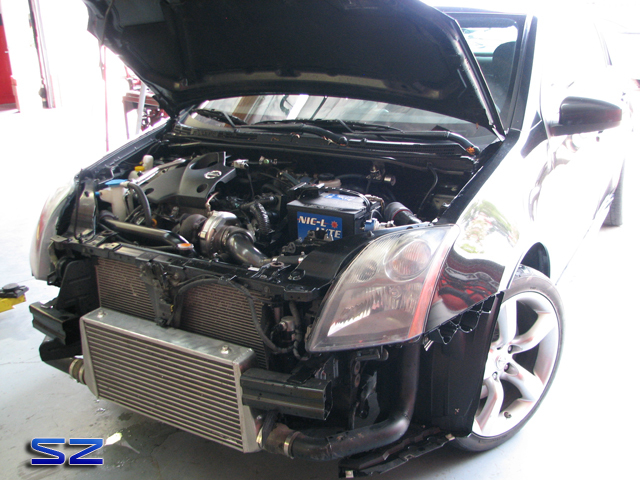 Eli has been a long time friend and customer of ours and his recent trip to SZ had us tuning and installing his new ASH I\C & Inlet Piping. Nice added benefit of the planar intakes is the ability for more air flow to the vital cooling components. 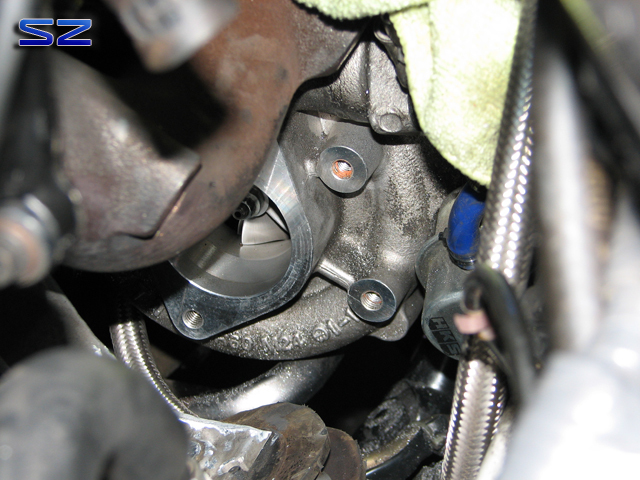 2560R turbo that required custom inlets due to the non-Z32 clocking. 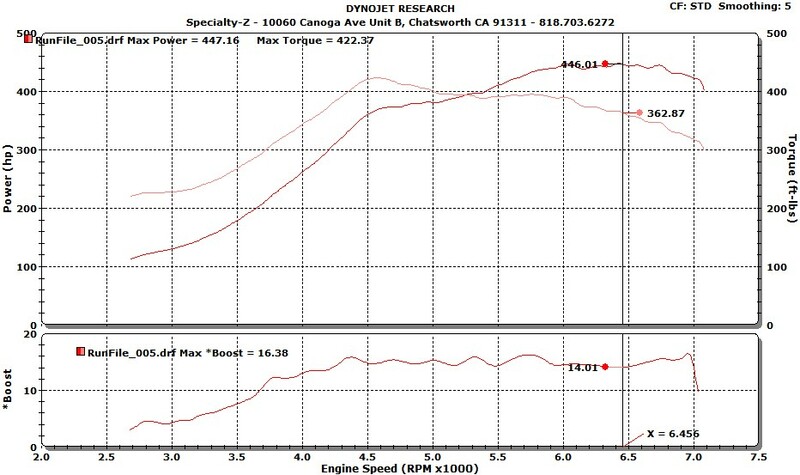 Eli’s tune on 91 octane, peak power at 14 psi with a minor spike to 16 psi. 100 octane peak power produced on 17 psi. 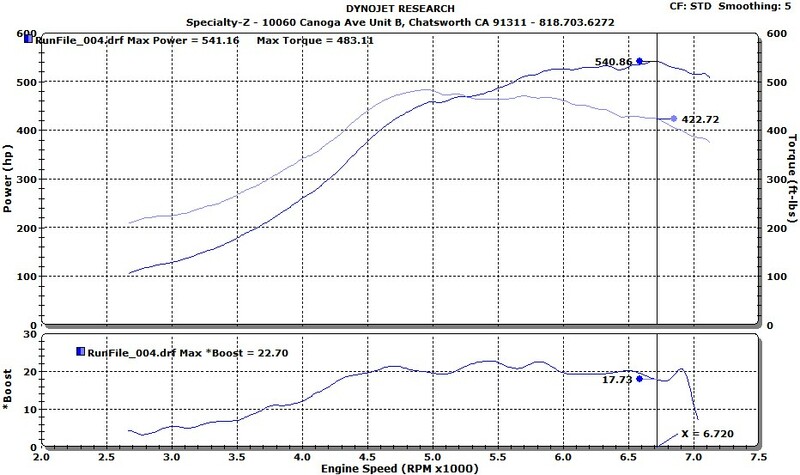 Very good looking power\torque curve. 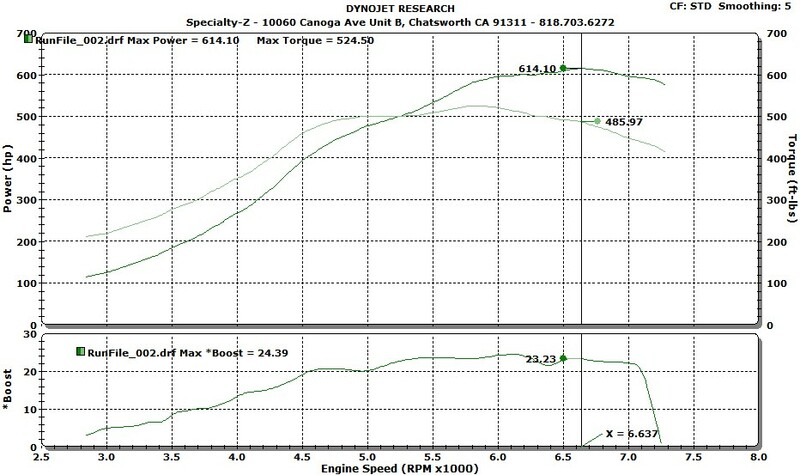 The cherry on top….. Q16 to crush our record on 2560R turbos. 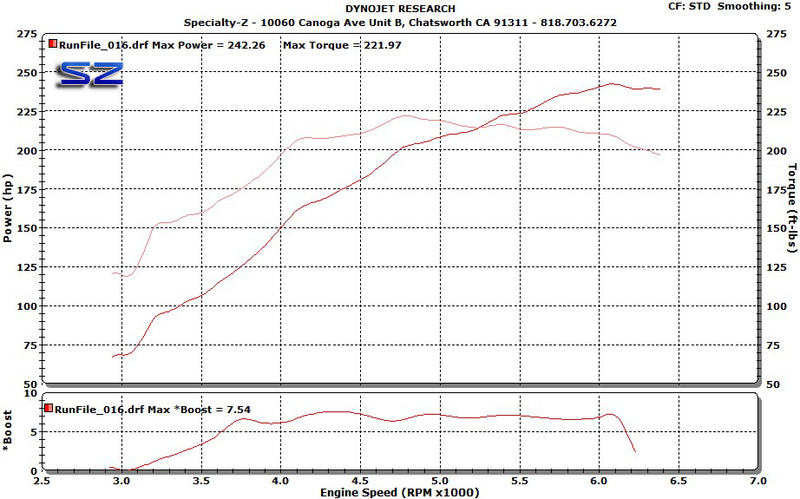 Making easily over 600+whp with the addition of “breather” mods. A job well done to Eli. You came a long way! (not distance, although its a little bit of a drive). 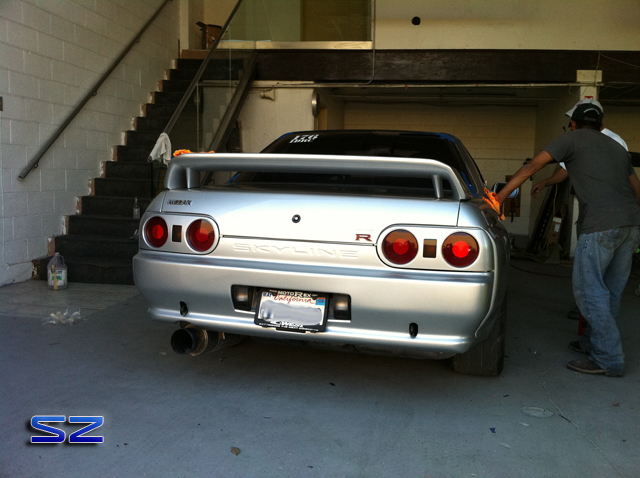 Its been awhile since we tinkered on the R32. 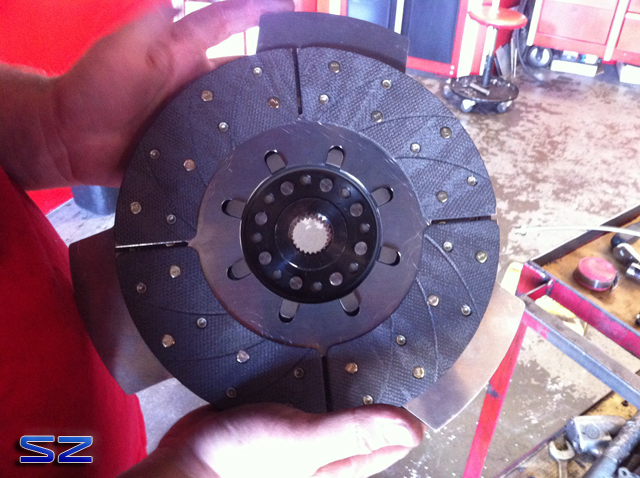 After waiting for a custom twin carbon clutch from RPS we were able to dust Godzilla off. This JUN RB27 had some changes with its catch can and we added a Braille battery. The battery was previously in the rear, but this required us to run a cut off switch in the rear (NHRA rules). 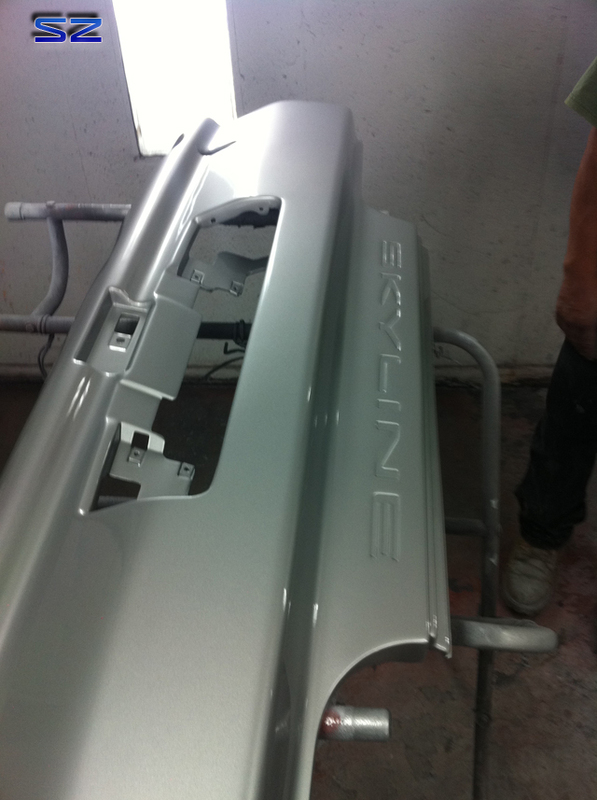 Forcing us to drill a hole in the bumper…. no thanks! Some fuel upgrades will be coming with an addition of ID injectors. 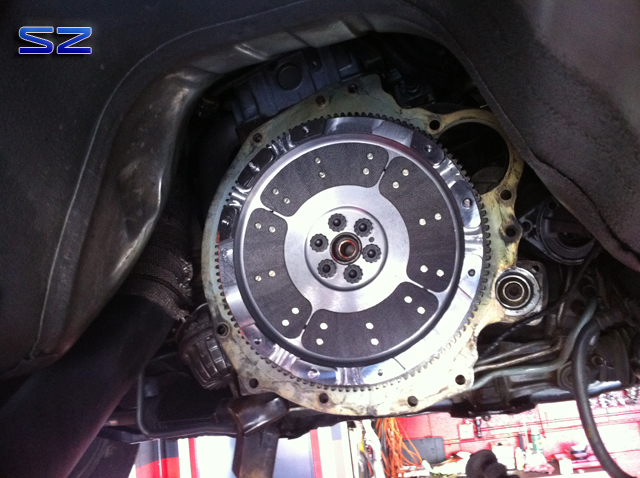 RPS used a trick Porsche style hub and floater disc to keep noise down and engagement super smooth. Note the inner disc right outside the hub This is the discs “attached” together. 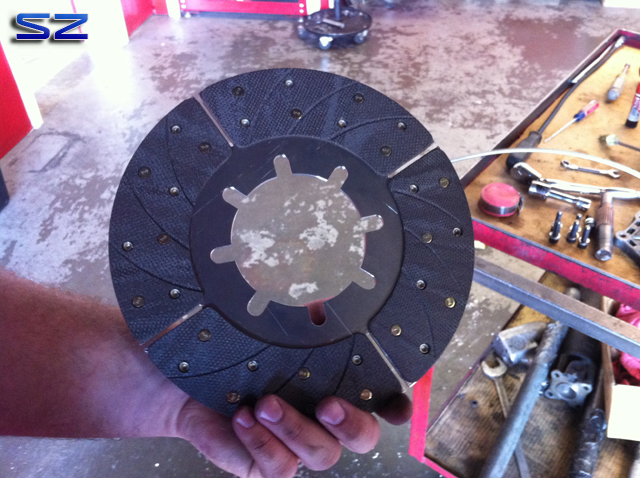 You can see how this flywheel side disc (key) looks without the outer disc on top of it. 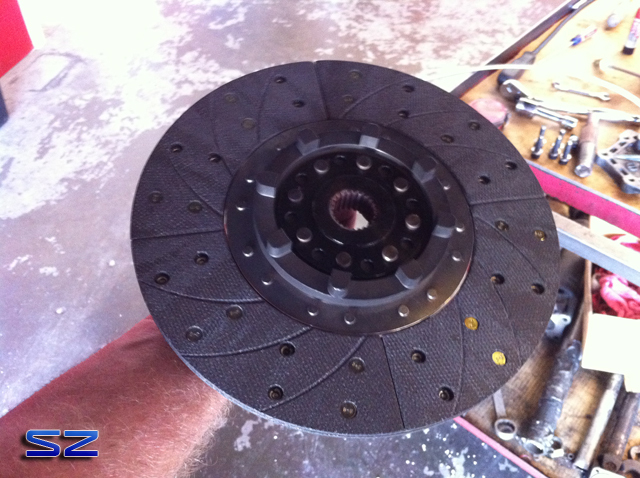 Lastly the aluminum carbon “insterted” flywheel bolted in with ARP bolts. At the same time we converted the pull style setup to an internal “race” slave cylinder. 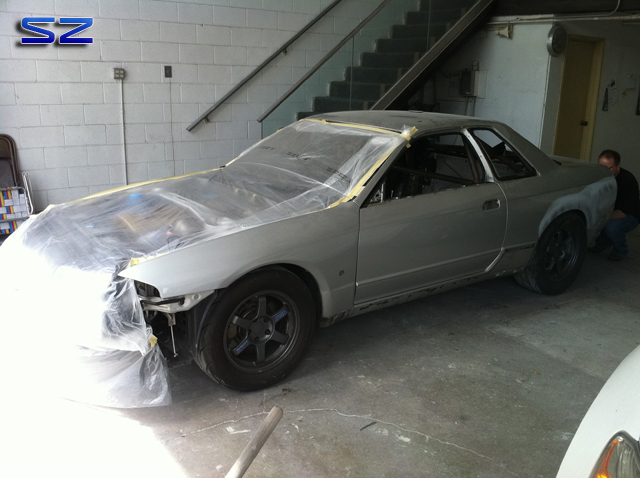 Following the clutch install we sent the GT-R to the body shop. 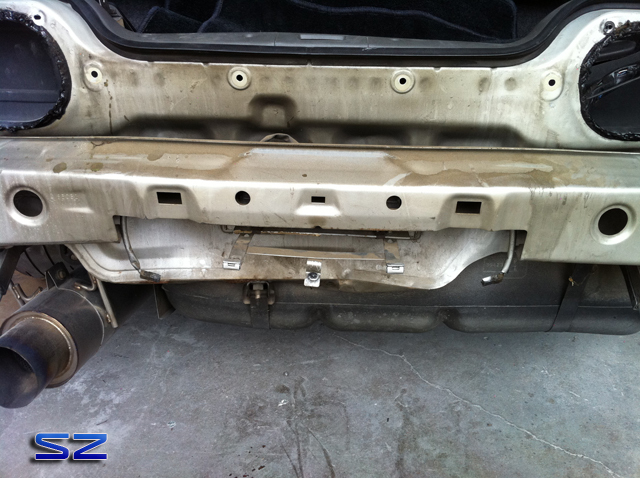 We found “old” rear damage that had been covered up. You can see it was rear ended at some point in its Japanese island life. 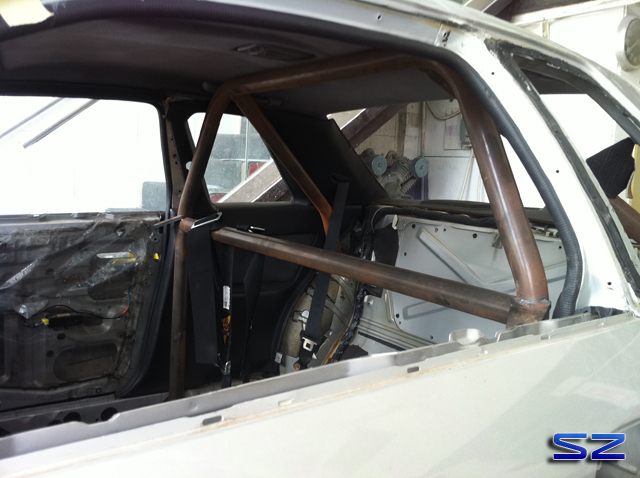 Interior stripped down and prepping the cage for paint. The front bumper particularly needed much work. 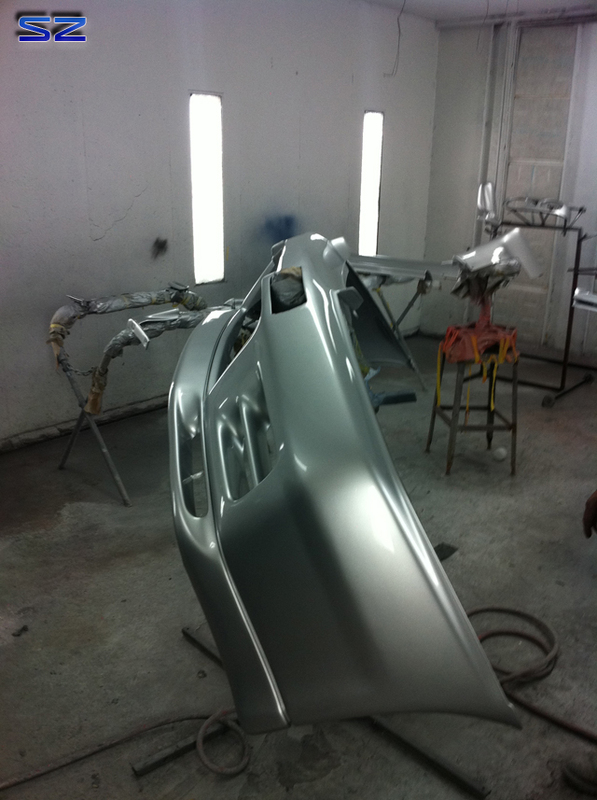 We had the FMIC painted black for a stealthier\cleaner look.